As the end of the year 2015 is fast approaching, we take a look at the main events that characterized the futsal scene during the past twelve months. Without doubt, Luxol stole the show after winning the Gatorade Futsal League and eventually the Gatorade Super Cup. 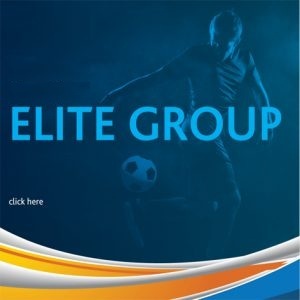 The Maltese national team was also in action for the UEFA and FIFA qualifiers while FMA successfully announced a new 3-year sponsorship agreement with Gatorade. England clinched the first victory in the EURO Futsal Qualifiers after beating Malta 3-0 at the Corradino Pavillion. England scored the goals that mattered through Ian Parkes, Luke Ballinger and Agon Rexha. Malta’s best chance fell on 38 minutes as Matteo Desira Buttigieg saw his shot saved off the line by English defender George Nash. It was a hard night for the Maltese National Team who suffered the second defeat in the UEFA Futsal Euro 2016 Preliminary Round. Andorra found the net through braces from Carlos Manuel Barbosa and Ignacio Llamas. For Malta, Nicola Del Re hit the post twice and Jovica Milijic hit the bar from a free-kick. Mark Marlow’s boys were humbled by Latvia 8-0 in their final match of the UEFA qualifiers. Latvia had to score more than three goals to make sure of their progress in the competition. A hat-trick by Andres Aleksejevs, a brace from Arturs Jerofejevs and Maksims Sens, Andrejs Sustrovs were the goal-getters for Latvia. Latvia placed first in Group E on seven points like England but had a better goal difference, Andorra placed third with three points while Malta remained rooted at the bottom of the group with no points from three matches. Serbian international Slobodan Janjic was three times on the mark as Balzan outpaced Valletta to win 10-2 and close in on a fourth final in three years. The KO holders were simply irresistible as they dominated the first half and managed to score more goals through braces from Glenn Bonello, Mark Zammit and Frane Despotovic with Karl Azzopardi adding another one for Boicho Marev’s side. Valletta reduced the scoreline from Javier Montes Burgos and Shawn Vella. In the other semifinal Luxol had an easy task as they beat Qormi 6-0. Luxol’s trio Barbosa-Alves-Anton were a continuous menace to the Qormi rearguard who tried to absorb their opponents’ fierce attacks. William Barbosa broke the deadlock from the penalty spot and the same player doubled the score, five minutes later. Luxol kept on scoring through two braces by Florin Anton and Dale Camilleri. Lija’s final ambition was reached when the new Gatorade Futsal First Division League champions dominated Mqabba 6-0 in their last match, on a day that was reserved for their celebrations. Aleksandar Ribic, who was fundamental for the Athletic’s promotion, notched a poker while Nicola del Re and Larkin Saffett completed the score for Lija. The afternoon’s climax was reached when the new champions were presented with the winners’ trophy from FMA vice- president Alfred Camilleri, for them to savour a much deserved success. The Futsal Malta Association successfully announced a new 3-year sponsorship agreement with Gatorade. Through this sponsorship agreement, Simonds Farsons Cisk plc, the importers of Gatorade, will be branding the National Futsal Competitions organised by the Futsal Association (FMA) through the Gatorade brand. Msida promoted after intense game. Msida St Joseph were promoted to the Gatorade Futsal Premier League after seeing off a mighty Naxxar Lions side 8-5. It was an evenly balanced match that kept all those present at the Corradino Pavillion on tenterhooks. The match had to go on extra-time after both sides were tied on a 4-4 scoreline. 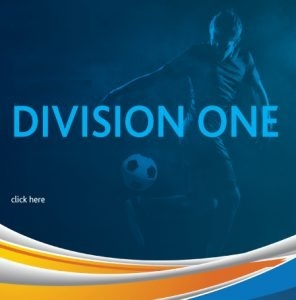 The end of the game brought joy amongst the Msida clan who saw their dream come true as they joined the already promoted Lija and Mellieha to Premier Division. Luxol were declared as Gatorade Premier League champions after seeing off Balzan 4-3 in the second decisive play-off final. Balzan struggled to find their rhythm in a first half shaded by Luxol who deservedly built a two goal advantage but in the second half the former side improved and after some tactical switches, they stormed into their opponents to level the score. William Barbosa hit a hat-trick while Dean Gera added another one for the winners. Frane Despotovic, Glenn Bonello, Slobodan Janjic put their names on the score sheet for Balzan. FMA President, Mark Borg alongside Vice President Alfred Camilleri and a Gatorade representative, presented the medals and trophies to the new champions. 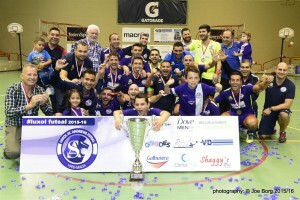 Another futsal season came to an end with Balzan winning the Gatorade Knock Out Competition as they beat Luxol 5-4 to make up for the disappointment of the Gatorade Championship a week before. Boicho Marev put Balzan ahead but Celino Alves equalized for Luxol whowho managed to turn on the tables before the break through George Frendo and Peter Pullicino. In the second half, Balzan were a different lot and after 40 seconds Marev scored Balzan’s second goal. 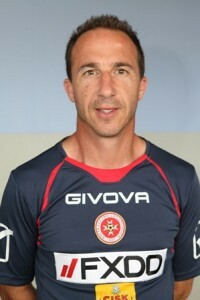 However, it was Peter Pullicino who netted his personal second goal to increase the lead for Luxol. Five minutes later Balzan reacted fiercely and Glenn Bonello levelled the matters with a quickfire brace. In the final seconds, Boicho Marev acted as a flying keeper and this move made way for Frane Despotovic to score Balzan’s winning goal nine seconds from the end. At the end of the match, Balzan’s captain Carlo Scicluna was presented with the Gatorade KO Cup by FMA’s president Mark Borg. Malta was drawn to face France, Albania and Lithuania in Group C of the 2016 FIFA Futsal World Cup preliminary round in the draws held in Nyon. Luxol St Andrews participated in the UEFA Futsal Cup Preliminary Round. It was a hard group, having Italian champions Pescara as the leaders of the group who made it for the next round. Apart from the 9-0 defeat against Pescara, Luxol had a very positive performance winning the hosts FC Encamp 5-3 and having an exciting equalizer of 5-5 against Danish JB Gentofte. Peter Pullicino was appointed as coach of the futsal national team, the Malta Football Association announced. Pullicino replaced Mark Marlow who led the team during the Euro qualifiers. The Maltese national team has returned home from San Marino tired but satisfied after achieving two positive results in the double fixture against the host team. The Maltese side got off to a good start after beating San Marino 5-1 on Saturday and succeeded to make a double after seeing off the home side 5-3 a day later. 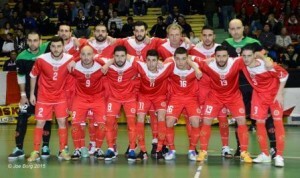 Malta ended their commitments in the FIFA Futsal World Cup qualifiers when they lost to second placed Albania 6-3 in Kaunas. For Peter Pullicino’s boys this was their third successive defeat in Group C after losing to France (8-2) and hosts Lithuania (2-1). France finished top of the group on nine points after a 6-0 rout over Lithuania. 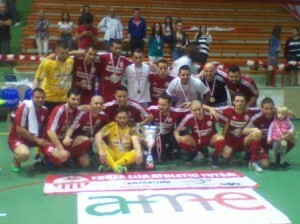 Luxol clinched the first honour of the season, the Gatorade Super Cup after having the better of Valletta 9-5. The match had to go on extra-time as both teams were locked in a 5-5 scoreline after the first 40 minutes of the game. This was the first Super Cup Final for the Citizens, who came out with raised heads as they continued fighting their opponents till the final seconds. Jovica Milijic put Valletta ahead while a brace from Denis Di Maio increased their advantage. Carl Azzopardi shortened the difference before the break to make it 3-1. In the second half, Luxol had a tremendous comeback as they came all forward using Frane Despotovic as flying keeper. Valletta resisted Luxol’s pressure as Dylan Musu scored two more goals. Luxol remained using the flying keeper successfully and achieved their aim to level the matters through goals from Glenn Bonello, who netted a brace as well as William Barbosa and Carl Azzopardi. The match had to go to extra time with Luxol emerging as final winners when Despotovic, Barbosa and Azzopardi were on the mark to rubberstamp their team’s final victory. FMA’s President Mark Borg presented the Super Cup to Luxol’s captain William Barbosa, with the latter raising it high amongst his team mates’ celebrations.